Cynthia L. Lazar has been practicing law in the State of Illinois since 1981. Her practice concentrates exclusively in the area of Family Law. Family law includes such areas as divorce; child custody; parenting time; spousal and child support; property division; division of retirement benefits; tax consequences of divorce; mediation; annulments; paternity; prenuptial agreements; change of domicile; domestic violence and post-judgment proceedings. Attorney Lazar is a certified Collaborative Law attorney and a fellow of the Collaborative Law Institute of Illinois. In 2015, she received the honor of being selected to the 2015 list as a member of the Nation's Top One Percent by the National Association of Distinguished Counsel (NADC). Only the top one percent of attorneys in the United States are awarded membership in the NADC. Cynthia L. Lazar is a Fellow of the International Academy of Collaborative Professionals. Cynthia L. Lazar is a certified professional Family Law Mediator. She is a Member of the Mediation Council of Illinois. Based on her training and experience, she has been named to the 19th Judicial Circuit Lake County, Illinois Family Law List of Approved Mediators. Cynthia L. Lazar has been appointed by the Lake County Court to act as Guardian Ad Litem and Child Representative in custody and visitation proceedings. To maintain this qualification she engages in continuous training. She has extensive experience involving cases with complex custody issues, including cases with special needs children and mental health issues. 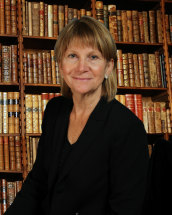 She has worked with clients in collaborative, mediation and traditional litigation to resolve child related disputes. Selected to the 2015 list as a member of the Nation’s Top One Percent by the National Association of Distinguished Counsel (NADC). United States Department of Labor, Washington, D.C.
United States Senate, Committee on Labor and Public Welfare, Washington, D.C.